Strikingly elegant, the Sauder Palladia Armoire, Cherry is a beautiful cherry armoire fit for any traditional bedroom. 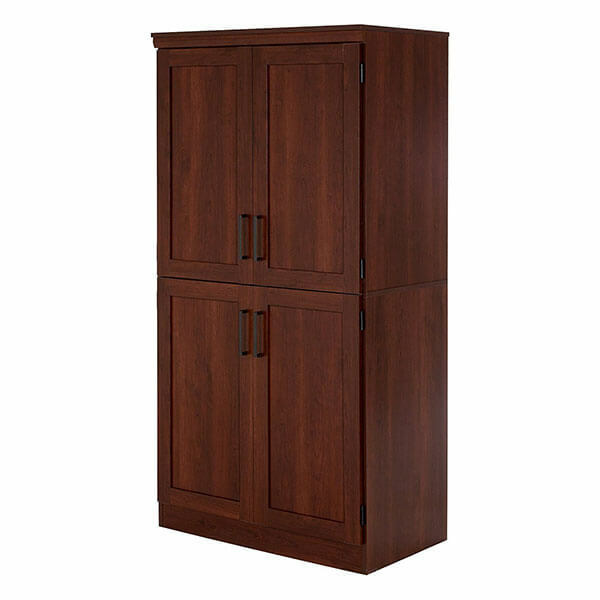 This armoire comes with a garment rod behind each of the doors. On the bottom, there is a large drawer that is complete with an easy-glide metal runner. The South Shore Morgan 2-Door Armoire with Drawers, Royal Cherry is a traditional armoire that has been given an elegant cherry finish. 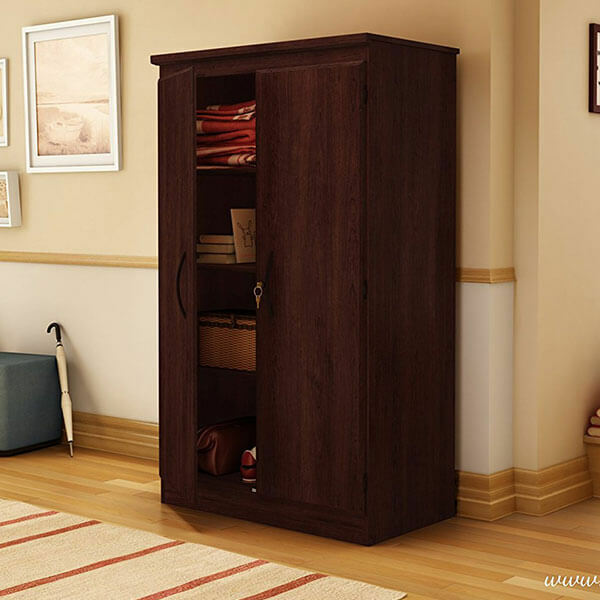 This armoire comes with three storage spaces found behind the double doors, each separated by two adjustable shelves. There are two drawers on the bottom with metal handles. 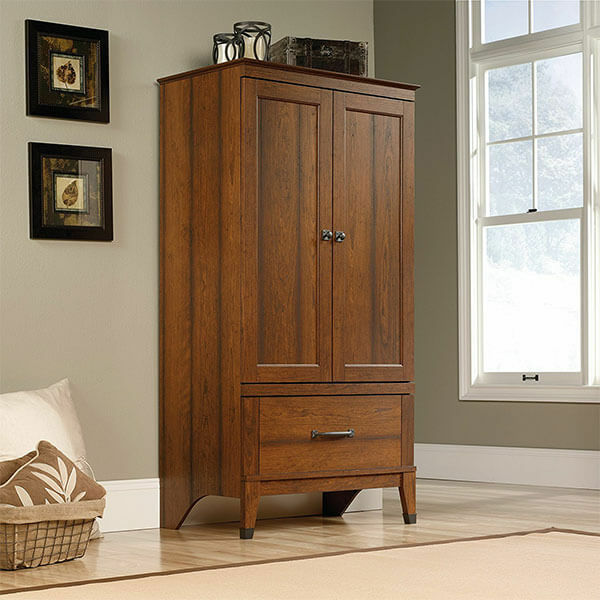 The rustic nature of the South Shore Furniture Morgan Storage Cabinet, Royal Cherry will look striking in any home. It comes with a lock that provides your items total privacy and safety. There are two small adjustable shelves inside as well as one large adjustable shelf and a single fixed shelf. 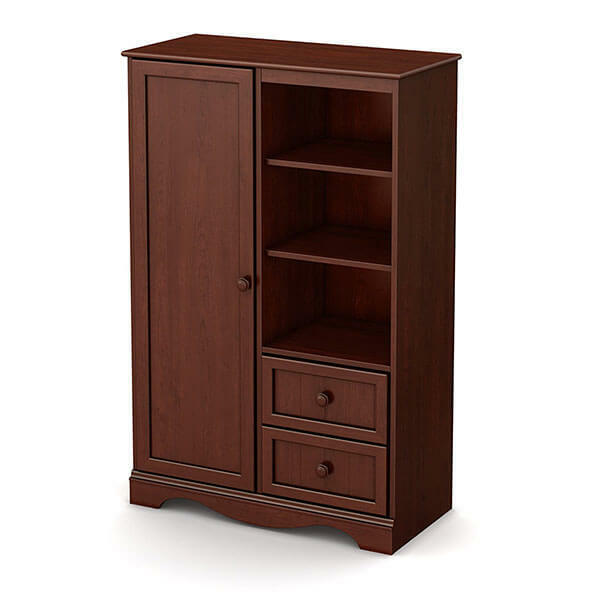 The Sauder Carson Forge Armoire, Washington Cherry is a cherry finished armoire that offers plenty of space for your belongings. There is a garment rod included on the inside of the doors. The bottom of this unit has an easy-glide drawer with wrought iron style hardware on both the doors and the handles. Store everything you need inside of the South Shore Savannah Door Chest, Royal Cherry. 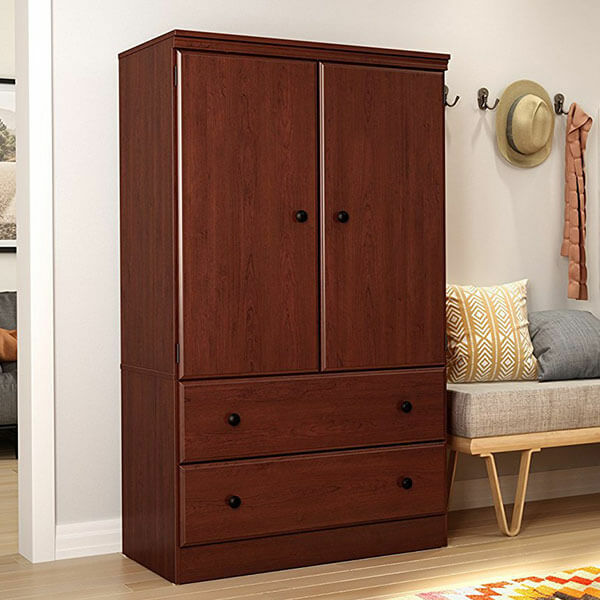 This South Shore Savannah Door Chest, Royal Cherry offers five storage spaces that feature three adjustable shelves. Two adjustable shelves sit next to the large door on the left-hand side. There are two drawers at the bottom. 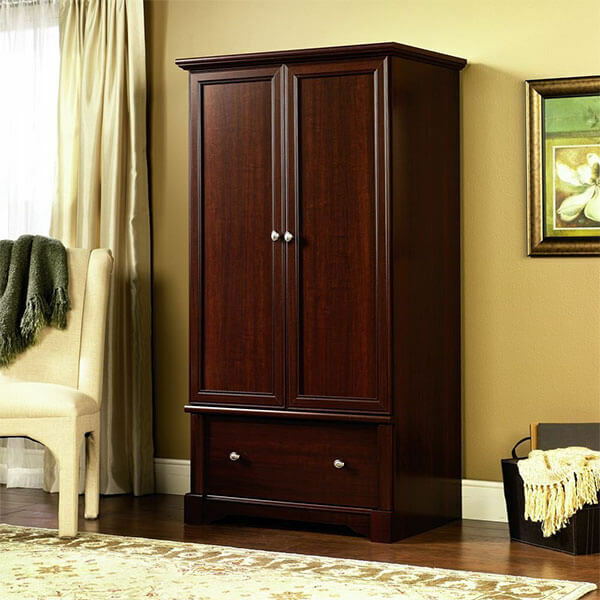 Simplistic yet traditional, the South Shore Morgan 4-Door Shaker Armoire, Royal Cherry features two adjustable shelves and a single fixed shelf inside of its doors. There are handles on each of the doors that come in a handsome black finish. The doors have shaker moldings for a more classic design.